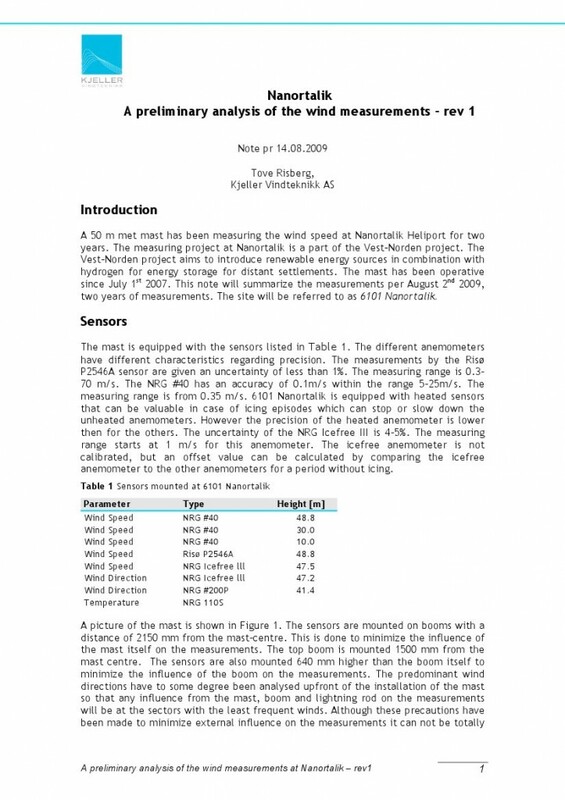 A 50 m met mast has been measuring the wind speed at Nanortalik Heliport for two years. The measuring project at Nanortalik is a part of the Vest-Norden project. The Vest-Norden project aims to introduce renewable energy sources in combination with hydrogen for energy storage for distant settlements.